You’ve probably seen the commercials. Thirty-something woman is surprised her friend drives a Buick. Super-cute actor Max Greenfield and his super-cuter French bulldog extol the luxury of heated seats. Buick’s mission to attract a younger demographic means it brought out the big guns with the redesigned 2017 Buick LaCrosse. 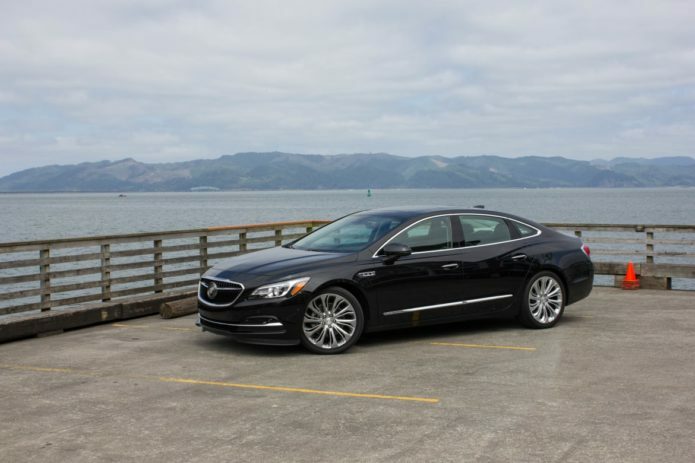 The LaCrosse is Buick’s full-size sedan, slotting in above the midsize Regal and the compact Verano. It’s offered in base, Preferred, Essence and Premium trims. Front-wheel drive is standard, but there is an all-wheel drive option in the Premium trim for an extra $3,000. New this year is an optional sport suspension package, a quieter ride and a 300-pound weight loss. But it’s not just better driving dynamics that will attract a younger buyer. This is the internet/technology/Instagram generation we’re talking about. I wanted to see if the Buick had the tech goods, so I decided to spend my time in the LaCrosse only using its voice controls on the IntelliLink infotainment system.